In our Investment Banking Training Course, students learn how to calculate brand value. Brand value is calculated on a firm’s financial performance and standing among customers and is essential in determining a corporation’s overall valuation. Google’s brand is calculated at an industry best $159 billion. Apple’s reign as the world’s most valuable brand is over after 3 years and Google is the new king. According to the 2014 BrandZ Top 100 Most Valuable Global Brand Ranking, Google’s brand has increased 40% since last year and currently touts a brand value of $159 billion compared to an estimated market cap of $540 billion. The ranking, conducted annually by Millward Brown Optimor, has been in place since 2006 and is the only annual ranking to measure brand value. Apple slipped 20% to No. 2 with a brand value of $148 billion after having ruled the rankings for the past 3 years. The top 10 were dominated by US firms followed by IBM ($107.54 billion), Microsoft (90.19 billion) and McDonalds ($86 billion) rounding out the top 5. Overall, in the nine years since the survey began, the combined value has nearly doubled, ballooning up to of $2.9 trillion this year, an increase of 12% over 2013. 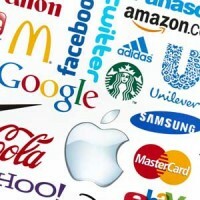 This shows how brand value can directly affect a company’s bottom line and overall value. The survey also reveals the value of technology companies in today’s business world, with an increase of 16% this year and 143% since 2006. Tech companies also make up about a fifth of the survey and represent approximately a third of the overall value. Of the top 10 biggest gainers since the study began, five are tech companies. So how did Google knock Apple from the top spot? In one word: Innovation. Both are tech giants with loyal customer bases and compelling products. However, Apple is viewed as mostly resting on past accomplishments, choosing to update their suite of products which include the hugely popular iPhone and iPod product lines. Google, on the other hand, is now perceived as being transformational, launching the Google Glass and GoogleX projects. These products are expected to be game changers. Also, as simple as it sounds, Google does small things like updating their homepage daily to provide a slightly different look. This helps keep it fresh and relevant as a brand which is not by accident. Brand value is an intangible asset (included in Goodwill) and can be an extremely valuable. It can also be very difficult to accurately determine. The issue of goodwill, and therefore Brand Value, usually arises in M&A transactions. Typically, goodwill is the amount an acquiring company would pay for the target company over the target’s book value. It’s comprised of the value of a company’s brand name, loyal customer base, customer relations, and any patents or proprietary technology. Being able to value a brand is essential to providing an overall snapshot of a company’s value and is reflected in a company’s balance sheet under assets. Google’s brand value of $159 billion means that the company has done a significant job positioning itself in the minds of their customer base.